If you are planning to visit Sapa in November, you must read this guide with some tips and reasons to show you why this month it’s good to visit this picturesque town located on the spectacular valley of the Hoang Lien Son Mountains in the North West region of Vietnam. The best time to visit Sapa is from March to May and from September to November. At these times, the weather is relatively stable with sunny days and cool nights. The view of Sapa’s terraces is at its best between September and October, during the fall. The level of rainfall reduces considerably, letting the weather become drier and milder. The moderate level of precipitation combined with an stably cool temperature make falltime such a delight to admire the beauty of Sapa. Since the nice weather continues in November with slightly lower temperature, it’s a good time to enjoy all the things that this place offers to you. The cool and dry weather with the stable temperature makes it the perfect time for trekking and photos. 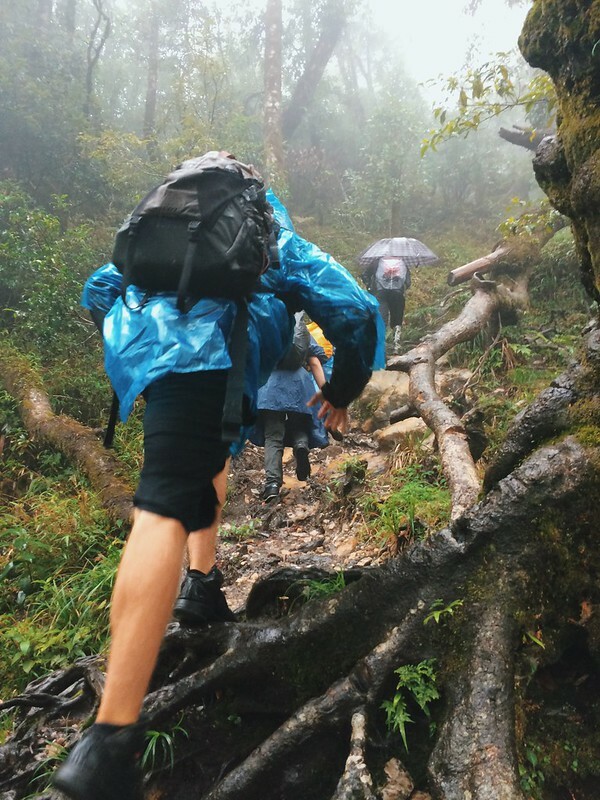 Are you going to waste your last chance of the year to enjoy Sapa with good weather? 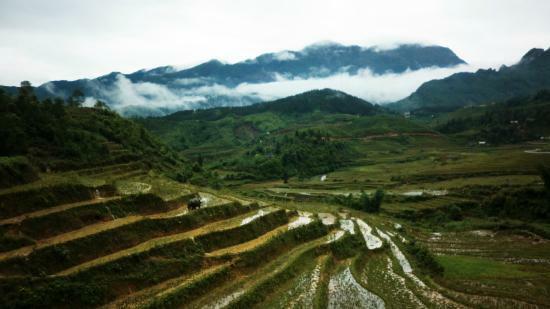 The daily average temperature for Sapa in November is approximately 14 °C. Tourists that visit can expect rainfall with an average of 56mm precipitation during the month. As winter is coming, the weather starts to become milder. However, it’s generally slightly warmer than the weather in some parts of Europe. It’s a great time to enjoy the outdoor activities that your are able to practice in the area like walking or cycling. Humidity for the town can reach 82% but due to the cooler temperatures, visitors shouldn’t expect any discomfort. If you need more to know the weather with more precision, you can check the weather prediction for Sapa in November. What to wear in Sapa in November? Don’t forget your rain jacket. Weather changes a lot, so it would be required if you preffer to come back to your homestay dry. Also, if a rain jack it’s too hot to wear during your way, you can carry a cheap plastic raincoast (the cheapest option) or an umbrella. Pack at least a fleece Jacket or/and a light sweater. Night time in sapa begins to get colder than normal, and it’s the best way to avoid a cold. If your are very sensitive to cold wear a warm sweater could be a good option. Shoes with very good tread are a must, because trails can get very slick with mud after it rains. Insect repellent. Probably in Hanoi or othes cities you would survived to mosquitos bites but you can’t forget your repellent here. Unfornately, the best moment to admire the beauty of rice terraces in Sapa is from the end of August to the beginning of September, when the rice turns from green to yellow colors. But in November you can see the curvy terraces filled with water and that looks pretty amazing. This is the moment when the terrace it’s being ploughed to prepare for a new season. If you enjoy walking around markets you should visit Bac Ha Market, one of the biggest and most well know in all of North Vietnam. 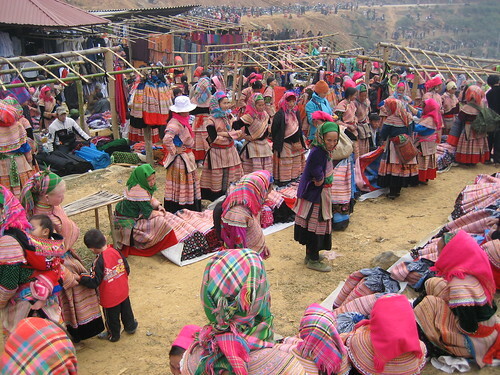 Bac Ha Town is a three hour drive from Sapa and the market occurs every Sunday. Is not really the best place for shopping, but is a great location to visit if you are happy to people watch and take in the energy and vibrancy of the occasion. There, you could find many different ethnic groups such as Flower Hmong, Phu La, Black Dao, Tay and Nung minorities gather to buy and sell local products that cannot be found elsewhere. The best way to enjoy the market in all its glory is to arrive early and leave before the crowds of tourists arrive on the buses between 10am and 11am. every Saturday you can find this market located just below the Chinese border, it is a colourful, vibrant market where you will encounter minority peoples such as the Flower Hmong (Red Hmong), Nung, Phu La and even Chinese people from across the border. Can Cau distance it’s 125 km or 3 hours driving from Sapa, in this market all kinds of goods are traded here, from fabrics to various types of livestock to the powerful local corn wine. Now you are ready to visit Sapa this November. If you still have doubts don’t hesitate to contact us or create your own Sapa experience in our website.